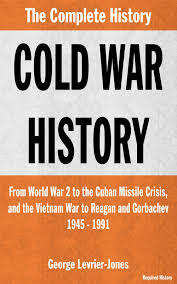 History of Cold War was a prolonged period of strive and tension between the United States and the Soviet Union, as well as allies of those countries, that began shortly after the end of World War II. This is a topic suggestion on History of Cold War from Paper Masters. Use this topic or order a custom research paper, written exactly how you need it to be. In the 1980s, Ronald Reagan and his advisers created a doctrine that would put increased military and financial pressure on the Soviet Union. Mikhail Gorbachov made numerous changes to the soviet system in an attempt to keep the country strong, but these changes were largely ineffective. The two countries continued to face each other on a global scale with the threat of a global nuclear war. Each side continued to amass more weapons, ensuring mutual destruction in the event of war. This dysfunctional Soviet mind-set was exacerbated by an ideological element. Here Western behavior was not all it might have been. The West may have over-estimated the threat posed to capitalism by communism. The fact that the Soviets attempted to foment revolution abroad may have been given too much weight. A bunker mentality settled in on both sides. Both were animated by ideologies that regarded the other as being, in Brand’s words, “heretical” (The Devil We Knew, 4). Both sides had their grievances. In the West the Soviets were seen as brutal, illiberal, totalitarian, and armed to the teeth; Kennedy’s running against Nixon on the basis of a totally fictional “missile gap” was but one of many symptoms of a western paranoia concerning Soviet capabilities. In the Soviet Union the West was perceived as hegemonic and utterly committed to the destruction of communism. Underlying all of this was the real fact that capitalism and communism were economic ideologies that did not, because they could not, admit that the other had a right to exist. The Cold War ended in the Gorbachev years when the Warsaw Pact abruptly dissolved. The Soviet Empire collapsed of its own weight. It had always been a garrison state. Overly bureaucratic, centrally managed in an economically inefficient way, and engaged in an arms race with the richest nation on earth, the Soviet Union reached a point where the internal disillusionment was so profound that it collapsed. The Soviet Union spent itself into the ground in maintaining huge nuclear and conventional forces. The former gave it superpower status; the latter enabled it to keep its hold on Eastern Europe; neither did anything to provide its people with a decent standard of living. Eventually that proved to matter. The Cold War officially ended in 1991 when the Soviet Union announced that it had dissolved. Your research paper on the History of the Cold War will discuss the set of causes out of which the Cold War arose and the set of causes that brought it to its end. With respect to the first you may want to argue that the roots of the conflict lay in the attitudes of the Soviet leadership, attitudes engendered by the unique historical experience of Russia. Also argue that the fear and hostility embedded in those attitudes was exacerbated by ideological conflict. With respect to the reasons that the Cold War ended, note that this occurred because the Soviet Empire, bankrupt with respect to political legitimacy, and almost economically bankrupt as well, collapsed of its own weight. The roots of the Cold War lay in a set of dysfunctional attitudes held by the Soviet leadership and in ideological conflict between incompatible systems of political economics. The Soviet leadership were typically Russian in their belief that they were faced with implacable enemies who had to be implacably destroyed. This paranoia, based on Russia’s historical experience, gave their diplomacy, both in substance and tone, a fundamental intransigence that was impossible to deal with. The ideological conflict between communism and capitalism, which generated shrill, hysterical rhetoric on both sides, made the situation worse. The conflict called the Cold War ended when the Warsaw Pact component of the Soviet Empire dissolved. This dissolution occurred because the Empire could not muster legitimacy and could not give its peoples a good standard of living. Iraq and the Cold War - Although Iraq may have been the least affected by the Cold War itself, it was ... the United States at the time as well as similar civilizations throughout history. Joseph Stalin - Joseph Stalin custom research writing on the dictator of the Soviet Union from the mid-1920s. Winston Churchill Iron Curtain Speech essays discuss the address given by Churchill, the “Sinews of Peace” speech, at Westminster College in Fulton, Missouri. Iran and the Cold War - Iran and the Cold War research papers explore the Soviet Union's relations with the Muslim world in Iran. Causes of the Cold War - One of the greatest Causes of the Cold War was the ideological, political, and economic differences between the society and government of the west and that of the Communist system used in the Soviet Union. 1945 - 1945 Research Papers go into the major events of this year including bombing of Hiroshima. It was considered a year of beginnings and endings. Paper Masters writes custom research papers on History of Cold War and thoroughly explains all the events leading up to the end of the Cold War.